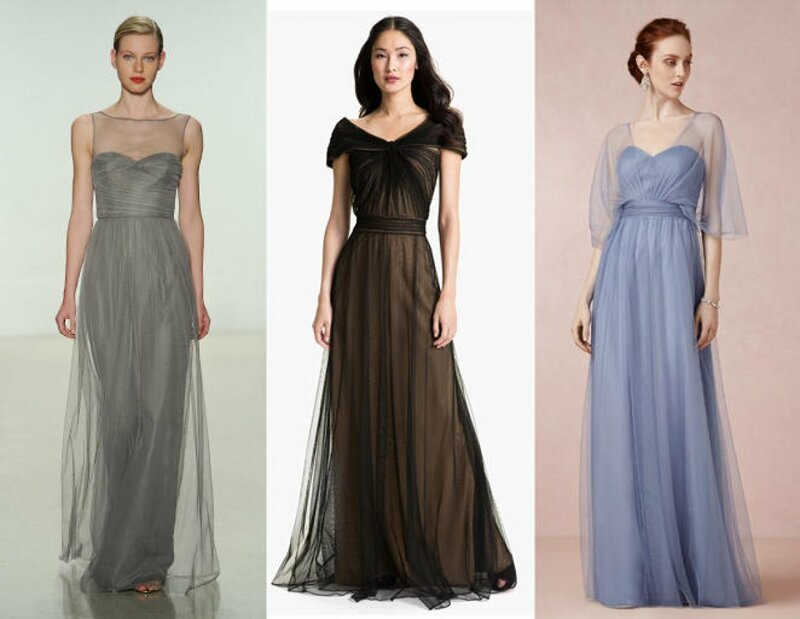 Your bridesmaids don’t have to look like clones from every other wedding. 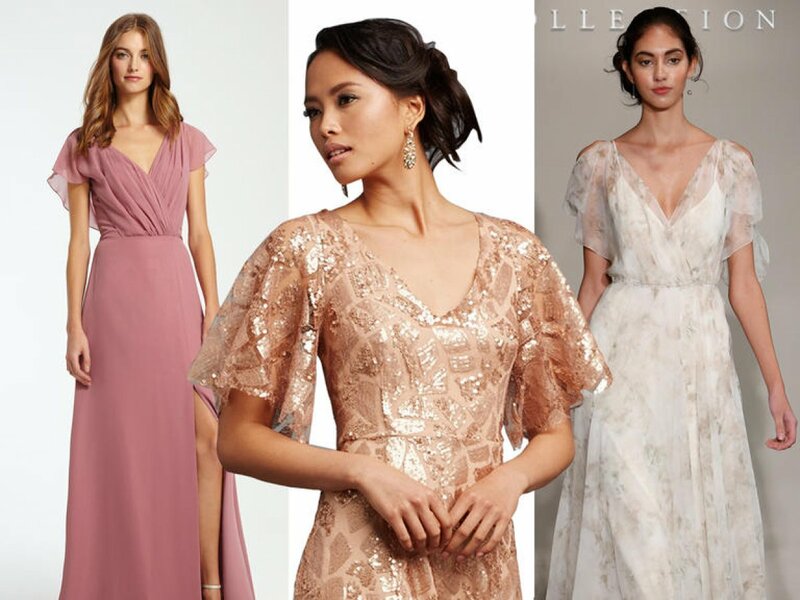 Dresses with open backs, glamorous fit-and-flare skirts and whimsical gauzy overlays are just a few ways to give your bridal party a fresh take. Strapless dresses are perfect for showing off just the right amount of skin, but when it comes to support, they may not be right for all your bridesmaids. 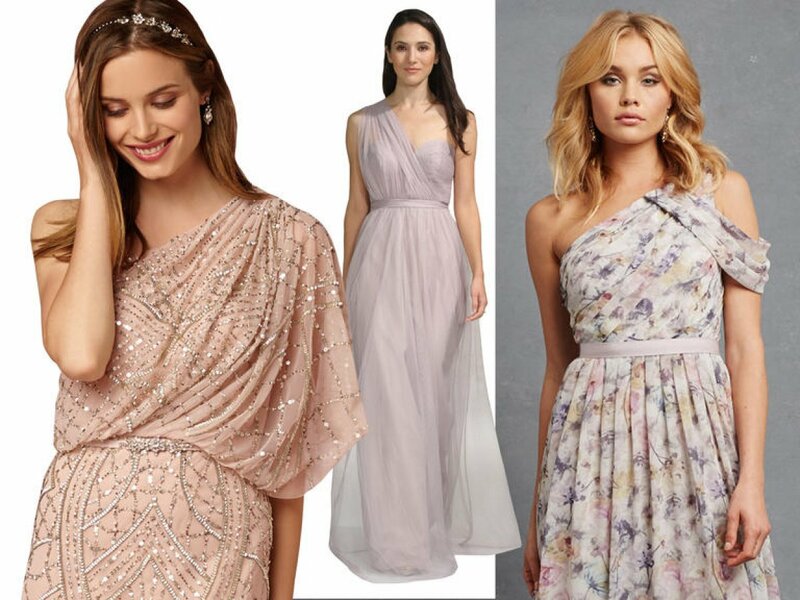 Enter the one-shoulder bridesmaid dress. The shoulder-baring silhouette will give you the best of both worlds while still looking classic and elegant. Looking for a pretty alternative to the strapless style? Consider cap sleeves. These barely there sleeves still flatter the shoulders but offer just enough coverage. For a vintage-inspired look, try a cap sleeve in delicate lace. Lace is nothing new where wedding attire is concerned, but textured cotton lace feels fresh. Pastel shades like blush and lavender complement this romantic fabric, while a longer silhouette will dress it up. A two-piece bridesmaid dress may be an unusual choice, but for a more daring bride, it can also be the perfect choice for a fun affair with a younger crowd. Choose a mix-and-match lace and tulle number for a romantic vibe, or go for bold with a two-piece that shows a sliver of skin. Whether the dress is simple or embellished, a fun flutter sleeve adds a vintage twist. 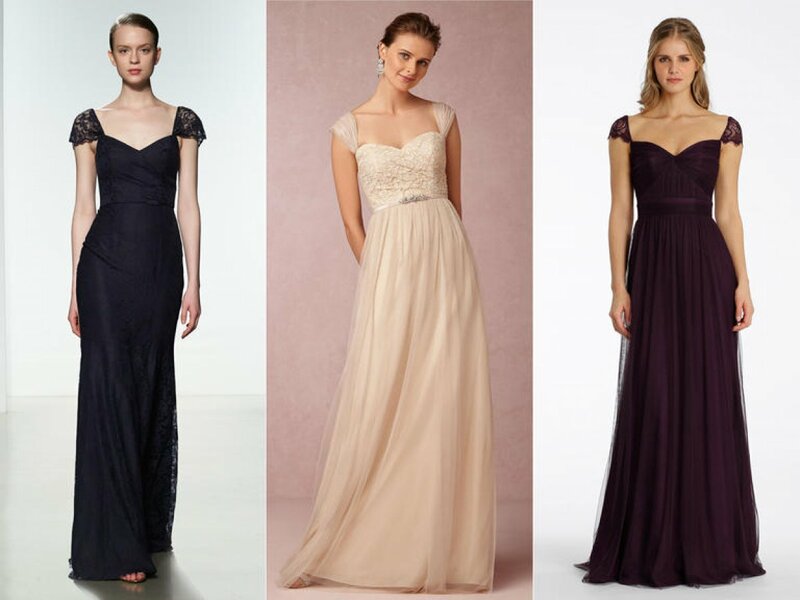 Choose gowns in soft floral patterns, muted colors or feminine metallics to complement this romantic silhouette. Next Infographic: What Songs Should You Choose For Your Wedding?